As the winter rolls on, many people are attempting to keep their new year’s resolutions by hitting the gym, eating healthy and improving at work. A great way to enhance your new year, while making the winter bearable, is by treating yourself to our custom dress shirts. There are countless benefits to wearing custom-made shirts including a tailored fit, collar and cuff options, special button treatments, your own personalized monogram, and unparalleled style. 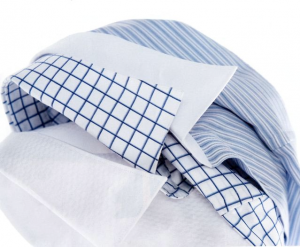 We offer over 500 shirt fabrics for any type of event. We customize our patterns for your own personal requests in collar design, cut, and style. Start the new year off right with a few custom-made shirts from the finest of custom clothiers. Call our wardrobe hotline today 502.417.0324 to schedule a wardrobe appointment.